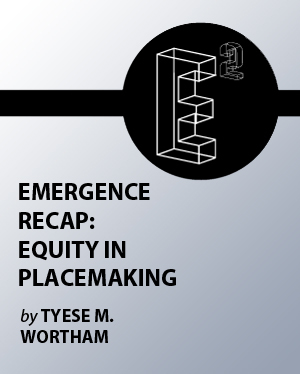 What better time to hop on a tweet chat to discuss this very issue (that of artists as placemakers, not that of the adoption of the term) with fellow workers in the arts and culture sector? 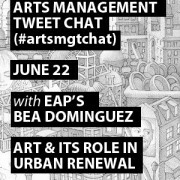 Since April 2012, Arts Management Chat (#artsmgtchat) has been convening a community of knowledgeable, opinionated arts managers around topics such as engaging boards, emerging leaders, and social media for arts organizations. The chats happen twice a month on Fridays at 11:00 a.m. Pacific time. 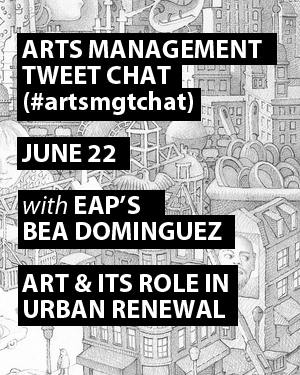 On Friday, June 22, our own communications director Bea Dominguez will be hosting the tweet chat, focusing on the topic of Art and its Role in Urban Renewal. 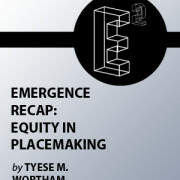 This promises to be an interesting conversation: a great way to learn more about the topic and add your own voice. 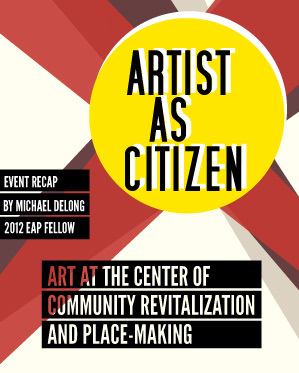 Are arts the precursors of vibrant cities or are they the outcome? Does your city value creative labor? In what ways can it value it more? What does it mean to you to transform a neighborhood? 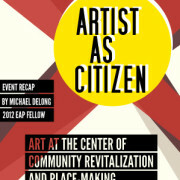 See all of the questions and Bea’s inspiration for the topic on the Arts Management Chat blog. Never joined a tweet chat before? Don’t miss this how-to in TechSoup’s Nonprofit Social Media 101 wiki, and watch the video below.